This is very exciting! 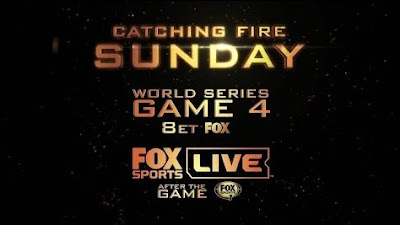 FOX Sports have announced that they will have an exclusive debut of the third and final Catching Fire trailer during the Red Sox / Cardinals game on Sunday, October 27th! The game is scheduled to start at 8PM ET, with the trailer debut set for the 5th inning. Thanks to our follower @I_rey21 for the tip!